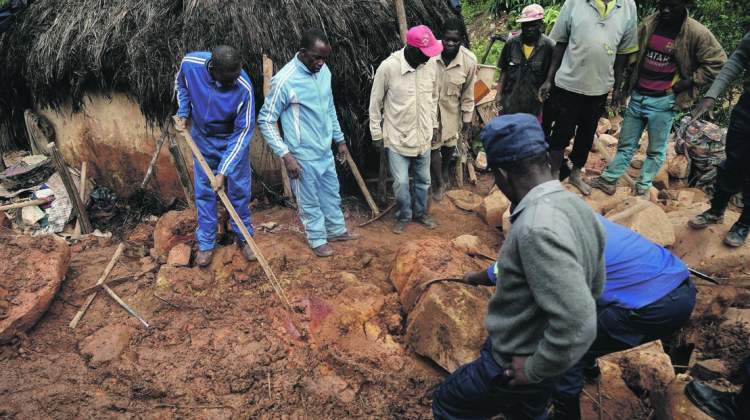 The government says there is still a lot of excavation work to be done to recover bodies of the people killed during cyclone Idai with the process being hampered by lack of machinery. Government is in a rush to ensure all bodies of deceased people killed during Cyclone Idai are recovered. Local Government, Public Works and National Housing Minister July Moyo says more machinery is needed to fast track the excavation process. Minister Moyo said while the death toll as at Sunday morning stood at 167, there is still an unverified figure of missing persons, hence the need for speedy recovery initiatives. "The number of missing people continues to change as there is need determine the people who were in houses swept away by the cyclone. Machinery is required to attend to roads and recover the deceased people's bodies," said Minister Moyo. He revealed that eight bodies of Zimbabweans believed to have been swept away during Cyclone Idai were buried in Mozambique with relatives of the missing people believing that a larger number of missing people are either buried in the mud or have been swept away. The Minister, however, says there is progress in assisting cyclone victims with government targeting to deliver basic provisions to at least 26 centres in Chimanimani.